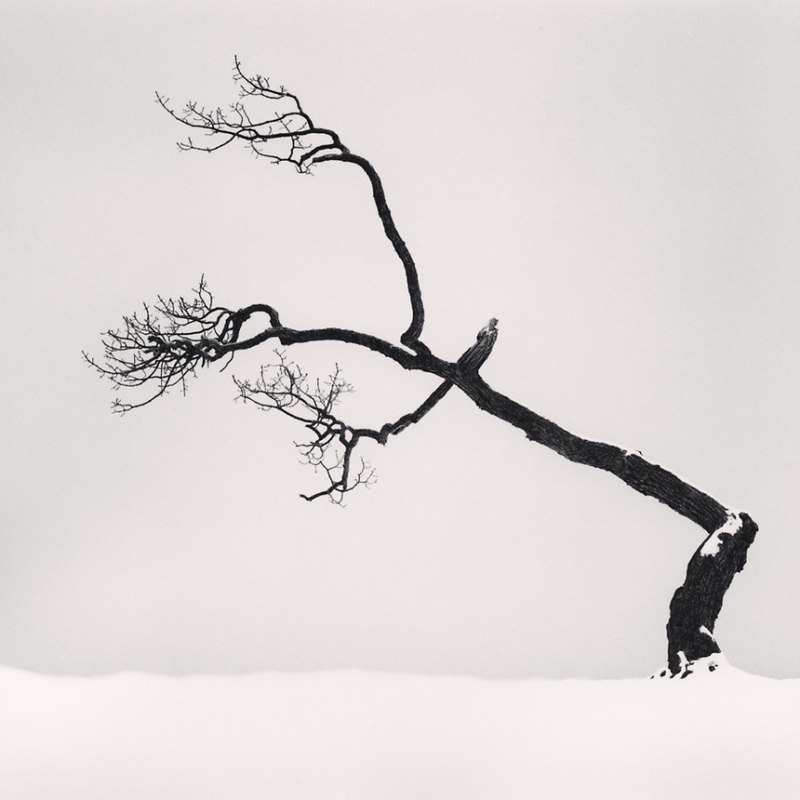 Michael Kenna is a British-born artist who, for the past thirty years, has been producing a body of work renown for its serene, meditative qualities, a tempered, minimalist composition and an exquisite printmaking technique. 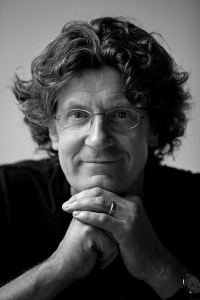 Kenna has set himself the goal to visit and capture remote places around the world. His way of working is deliberate, precise and often involves the use of long exposure times, sometimes lasting for eight hours. 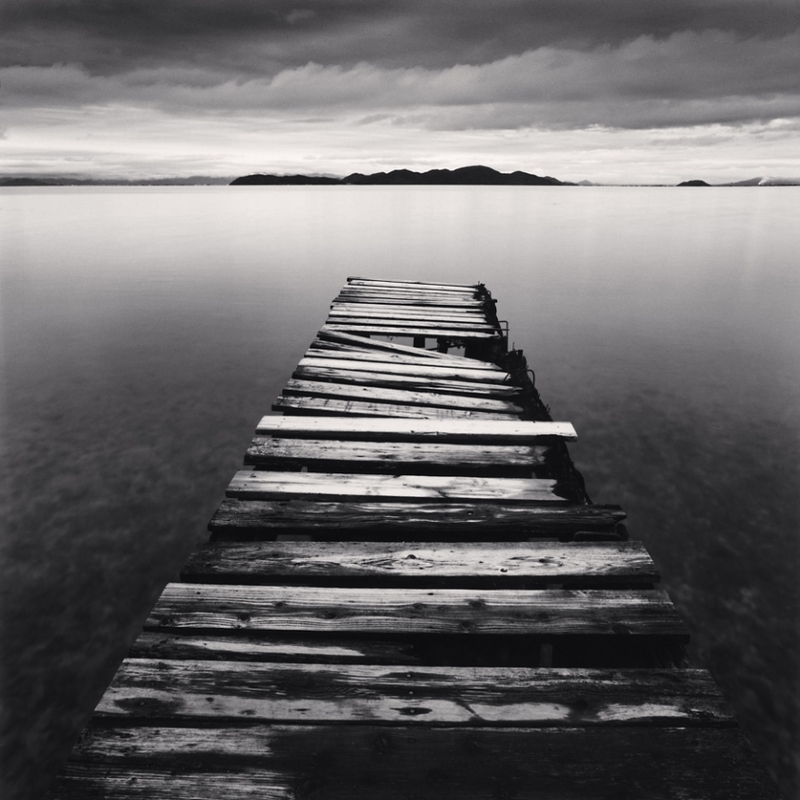 With his camera and use of long exposure he captures what the eye cannot see; cumulative time. 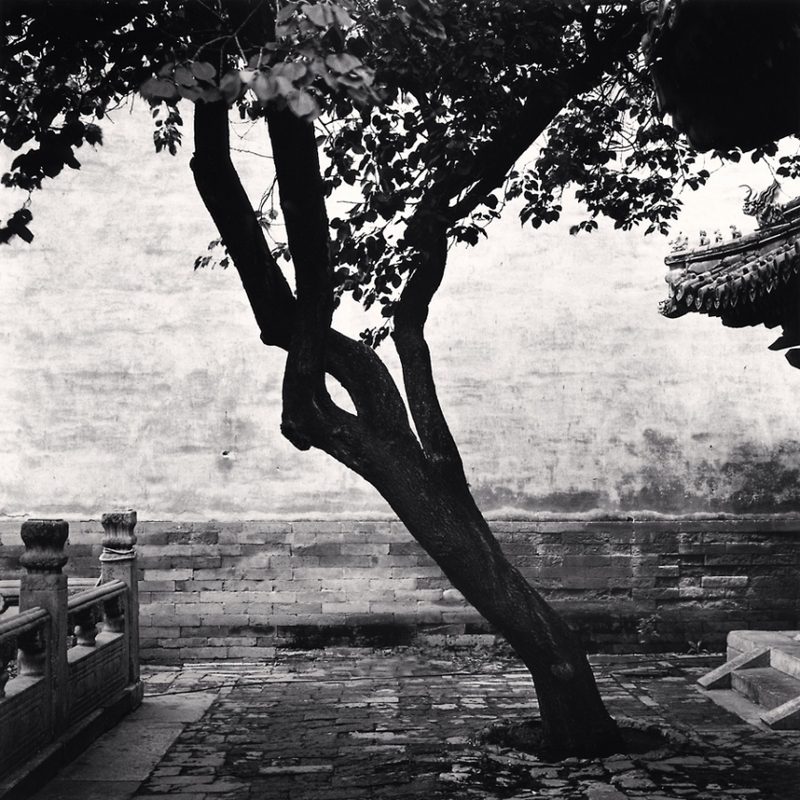 His carefully exposed black and white photographs, taken at dusk or night-time, are notable for their clear, structured compositions. 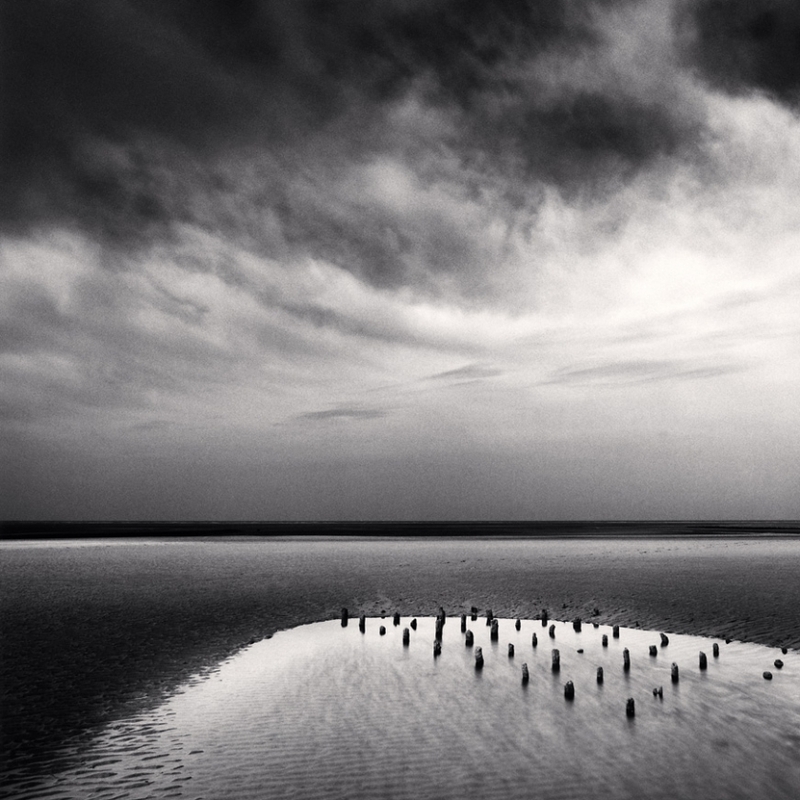 His sense for mood and composition elevate his photography to art. Even pictures or landscapes that we are familiar with become transformed by his photographs into something new and unexpected. The photographic process is very important for the artist so for 20 years Kenna has used a manual Hasselblad camera (square format). 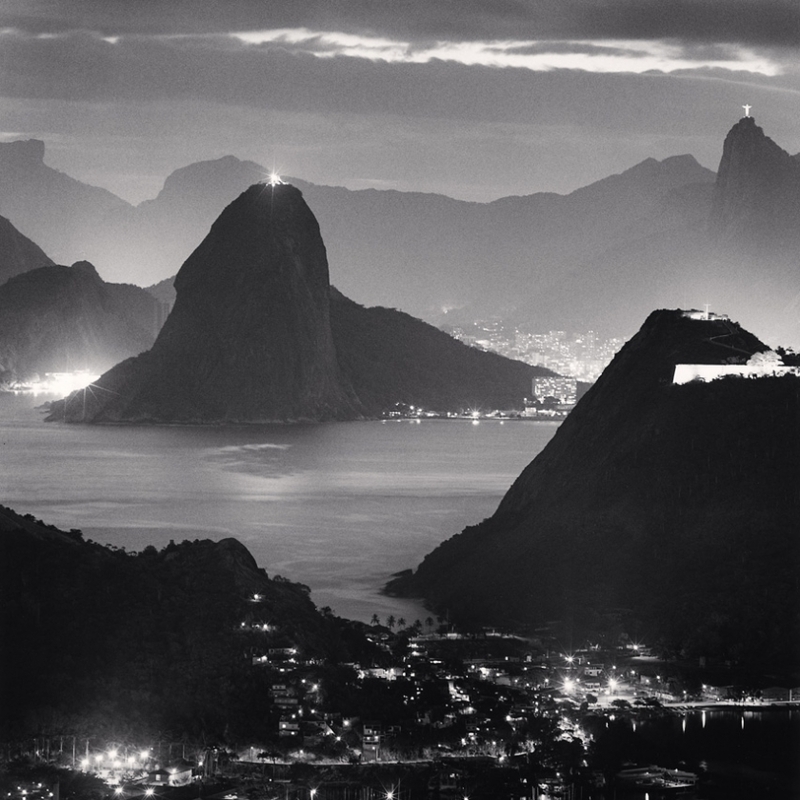 He then refines his pictures in the darkroom instead of using digital image manipulation. 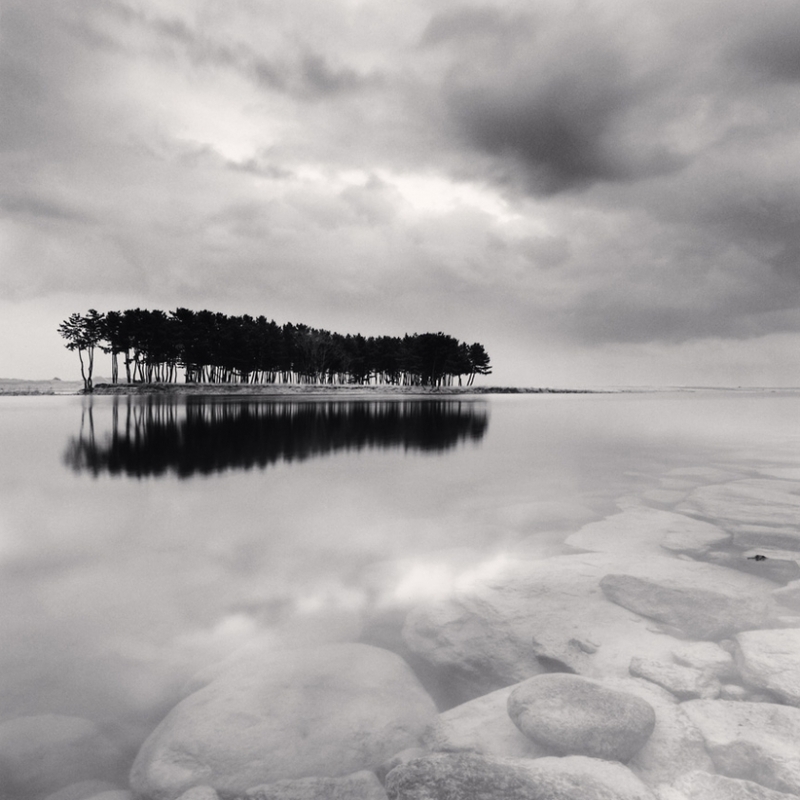 Usually Kenna enlarges his prints up to a size of 20 x 20 cm. He has chosen this format deliberately, because it challenges the viewer to interact more actively with the picture in order to see minute details. 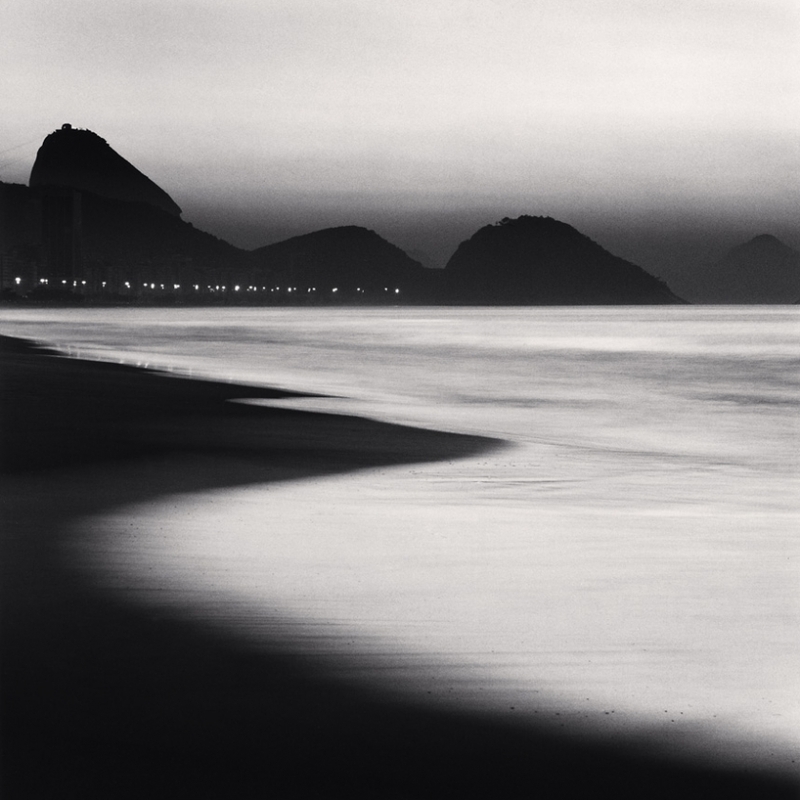 With over 400 one-person exhibitions throughout the world to his credit, Michael Kenna’s prints can be found in the permanent collections of the Bibliothèque Nationale, Paris; The Museum of Decorative Arts, Prague; The National Gallery of Art, Washington DC; the San Francisco Museum of Modern Art, the Victoria and Albert Museum, London; the Tokyo Metropolitan Museum of Photography and the Los Angeles County Museum of Art. Abruzzo is known as the “green region of Europe” because of the system of parks and nature reserves covering more than one-third of its territory. It has one of the highest biodiversity indexes in Europe, and one of the richest areas of flora in the world. 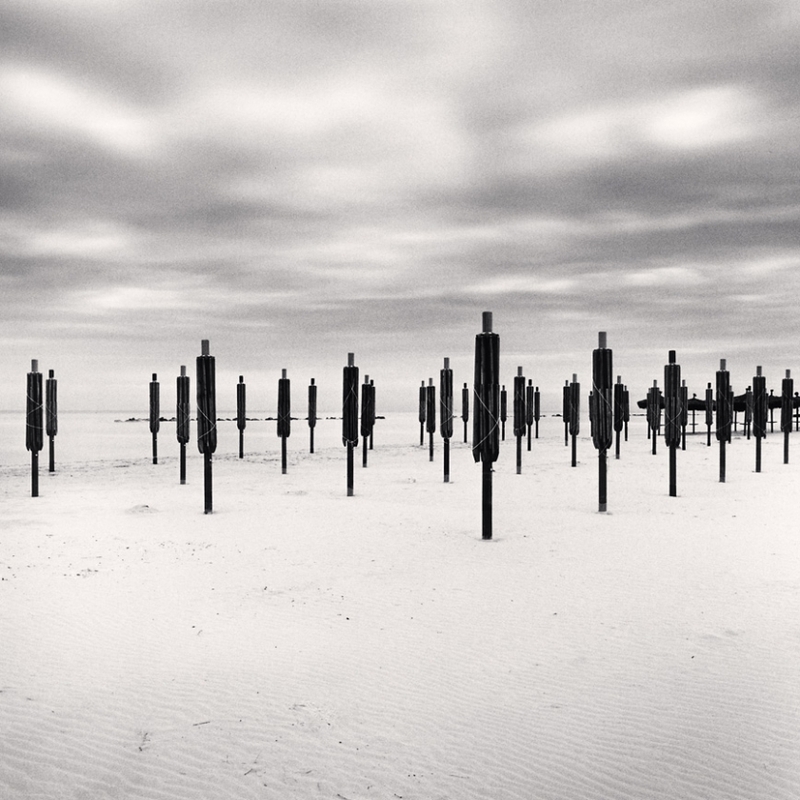 Michael Kenna has been greatly impressed by the magnificence of Abruzzo, the array of its landscapes, and the intriguing way of life that still exists in large areas of the region, where the relationship between man and nature appears to resurface from a distant past. Kenna found a cultural identity that elsewhere, for the most part, has been lost to globalization and instant communication. 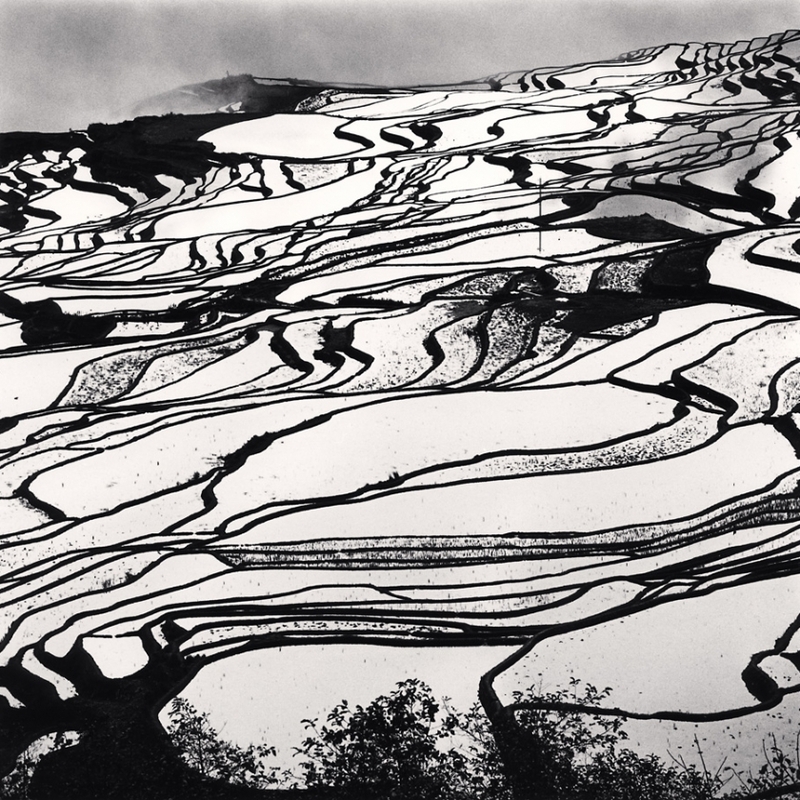 Kenna photographed medieval ruins, ancient villages and a countryside rich in traditional cultivation. He wandered through serene and poetic places where it is still possible to stop, meditate, and enjoy the restorative beauty of silence whilst experiencing the sense of history they exude. Abruzzo’s heritage, together with its impressive natural scenery, brings to mind romantic connotations that have historically attracted many international landscape artists, particularly in the 19th century. Those who explored Abruzzo include such prominent painters as Jean Joseph Xavier Bidauld (1758-1846) and Jean Baptiste Camille Corot (1796-1875) from France, Jakob Philipp Hackert (1737-1807) from Germany, and Abraham Louis Rodolphe Ducros (1748-1810) from Switzerland, all much noted on the Grand Tour circuit. However, it was the English landscape painter Edward Lear (1812-1888) who left behind one of the most important testaments to the romantic landscape of the region. Also famous are the landscapes produced by the Dutch Maurits Cornelis Escher (1898-1972), one of the world’s leading graphic artists. 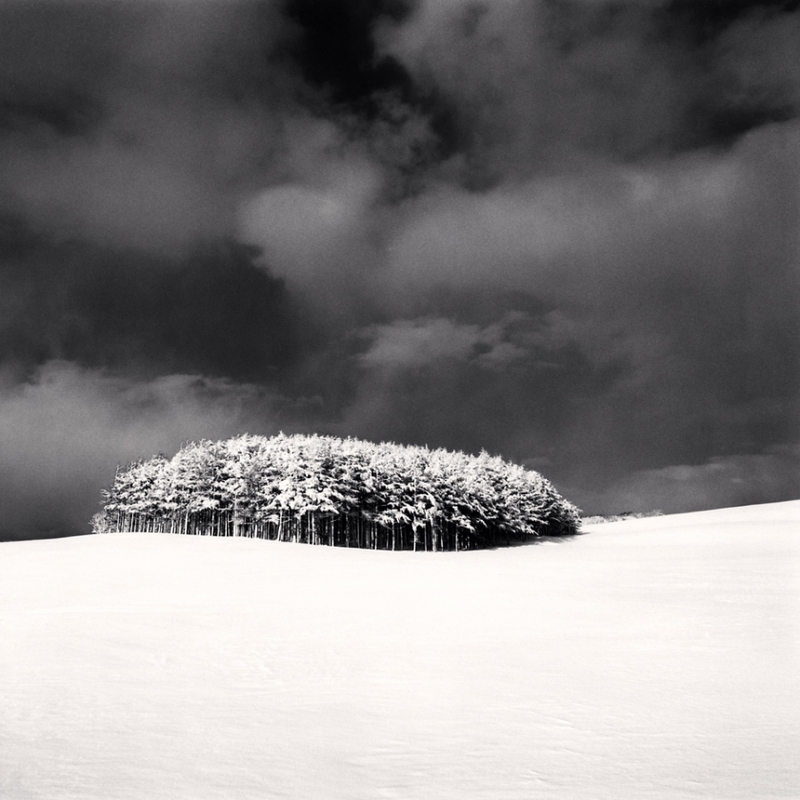 Michael Kenna fits perfectly into this rich historical vein of celebrated international landscape artists who have worked in Abruzzo. Kenna’s work often evokes the influences of Romanticism. In his photographs of historic rural landscapes, for example, there is an air of melancholy, which accompanies memories from the past. His images of ruins stir up feelings of passing time, of the constantly evolving ties between history and nature. 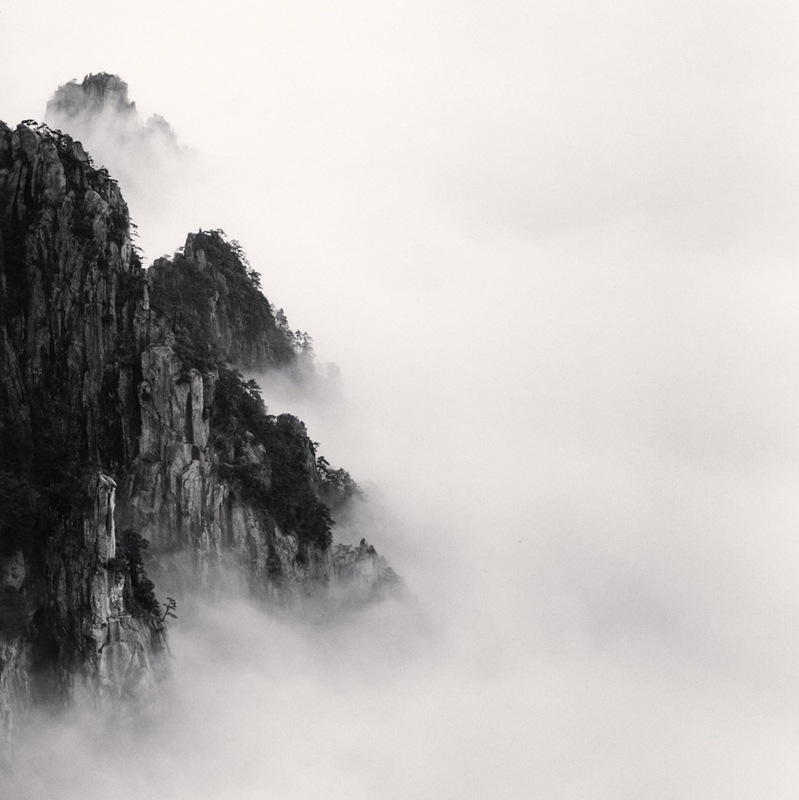 An observer might also feel romantic influences while looking at his sublime visions of wild mountains, which unveil a “delightful horror”: stormy skies, snow-covered peaks and turbulent wisps in infinite seas of clouds, all conveying a shiver of danger, albeit without real risk. These images serve to make us feel both small and fragile in comparison to the magnificence of nature, and bestow an equivocal sensation of pleasure and fear. 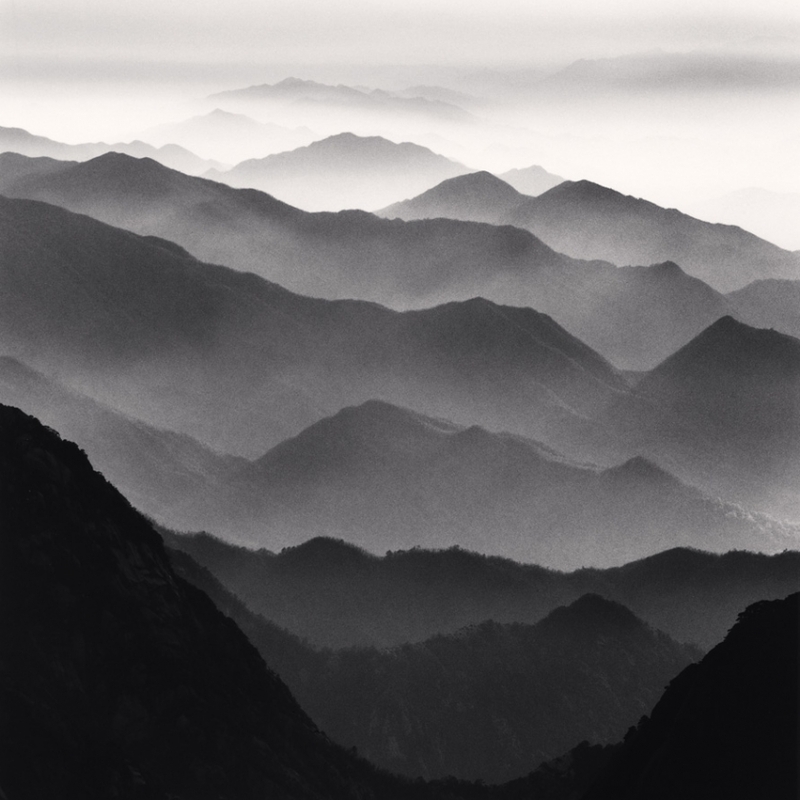 Kenna’s wondrous image “Distant Mountains” portrays an infinite, powerful, and yet peaceful, nature. Medieval castles and picturesque villages, rolled up in mist, surrounded by vaporous atmospheres, and with violent skies of threatening clouds towering above, link Romanticism and reality. Villages perched on mountains, or those nestled on the slopes of olive-covered hills, are striking both for their time-worn appearance and in their harmonious relationship with the surrounding countryside. These settlements are often more than a thousand years old, as is the case of Loreto Aprutino, whose history dates back more than two thousand years. 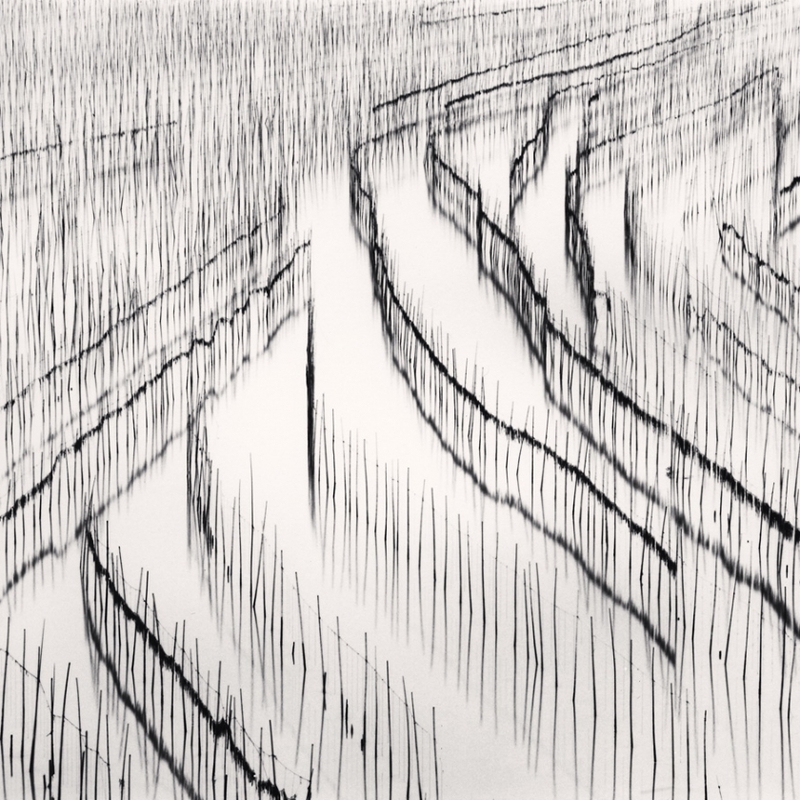 Trees are amongst Kenna’s favorite protagonists, and in this work he offers an astonishing vision of man’s predilection for the rigid and geometric, where the landscape is redesigned, with lines of trees, poles and beach structures. Kenna is fascinated with interesting abstractions, graphic compositions, and subjects with the visual and evocative potential to represent a subject free from descriptive intent, but with an emotional understanding revealed through feelings and sensations. 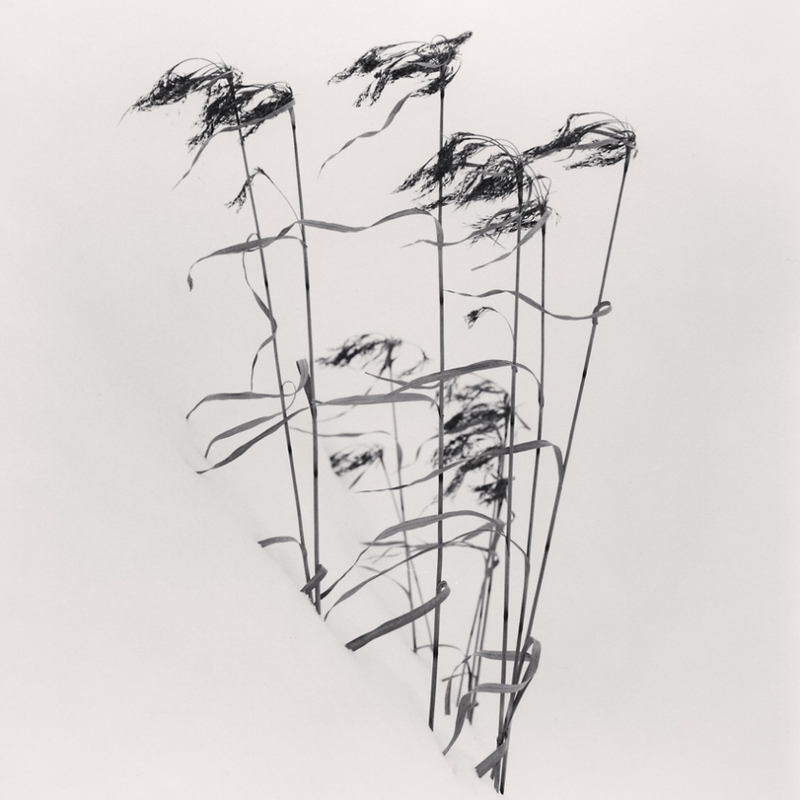 In fact, it seems to be his mission to both recognize and acknowledge the spirit of a landscape, and then present it in the poetic character of his own photographic language. Yvonne Meyer-Lohr writes that “Expansiveness. Stillness. Emptiness. Space. Development. Change. Generosity. Reduction. Simplicity. Form” are crucial aspects of Kenna’s artistic expression. In support of emptiness, she adds “Simplicity and plainness are created by empty space. They provide the necessary leeway to be able to absorb a wide variety of thoughts and feelings…This provides space for one’s own imagination, for the grace and beauty of small things, for the unfolding of that which lies in-between. 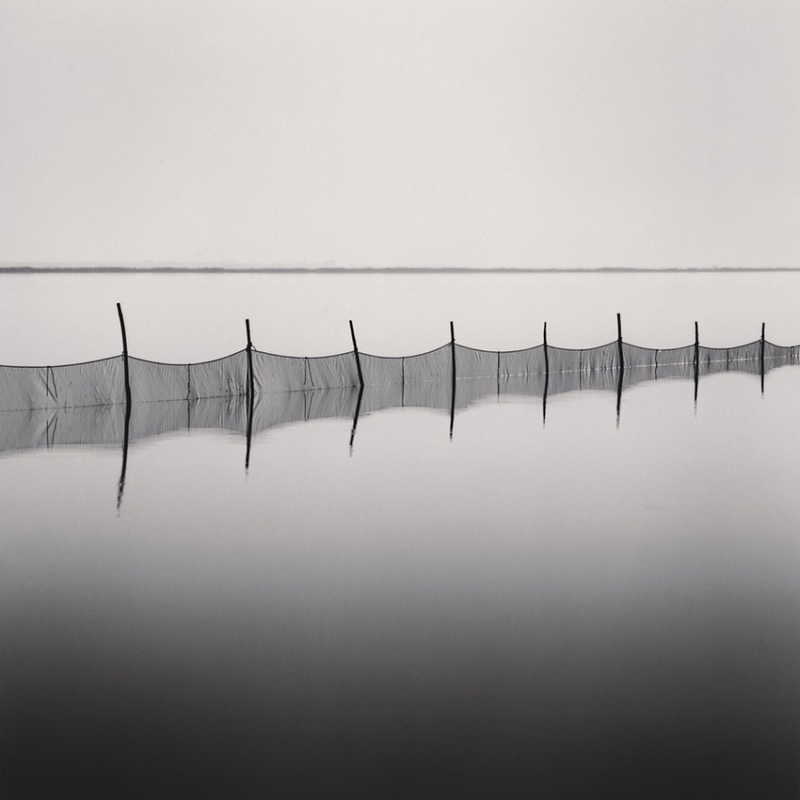 In his photographs, Michael Kenna creates fullness from emptiness; he makes the invisible visible.” An example of this way of working is Kenna’s image, “Trabocco Punta Le Morge”, where the line of the horizon which separates sea from sky is invisible, offering a surreal vision in which the trabocco appears to be suspended, dreamlike in space. 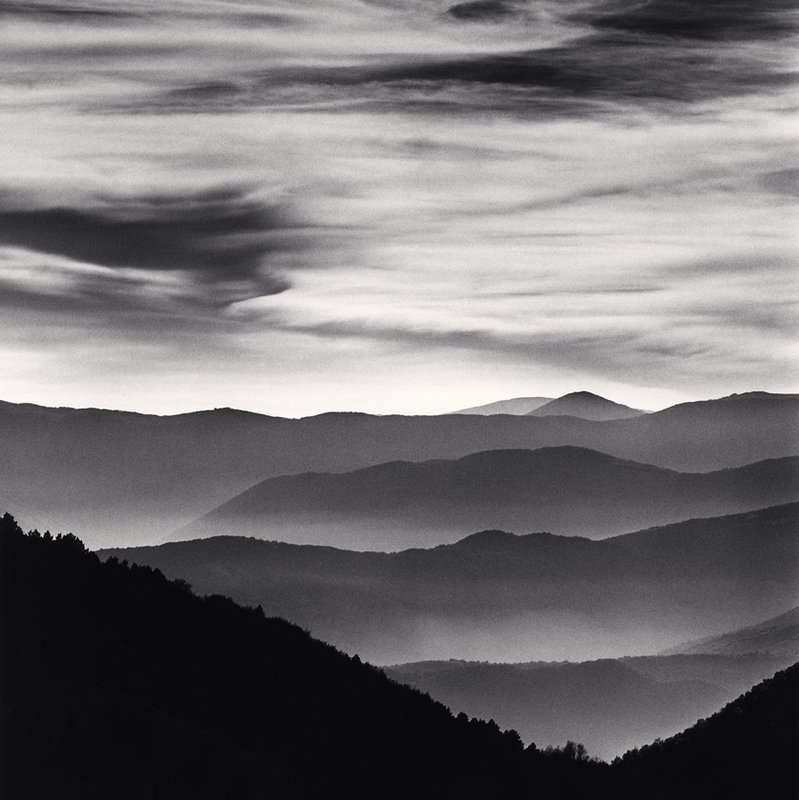 Kenna’s compositions often involve a landscape in dialogue with an eventful sky, with additional features included, such as a moonset or a curious cloud formation. These photographs are usually created at dawn or dusk, between the stages of light and dark, day and night, and using long time exposures. Thus Kenna captures visual effects in a way that the human eye cannot. The Abruzzo portrayed by Kenna is a land of primary feelings, where many of Kenna’s values are uncovered. The majority of these landscapes leave us with a sense of history and vague memories of the past. Perhaps the dark menacing clouds fighting amongst themselves, and the faintly solemn atmosphere in many of these landscape jewels, also convey a sense of Kenna’s concern for the future. The past is certainly very important for Kenna; it is a source of nourishment, and there is no accident in his choice of monochrome as a medium. 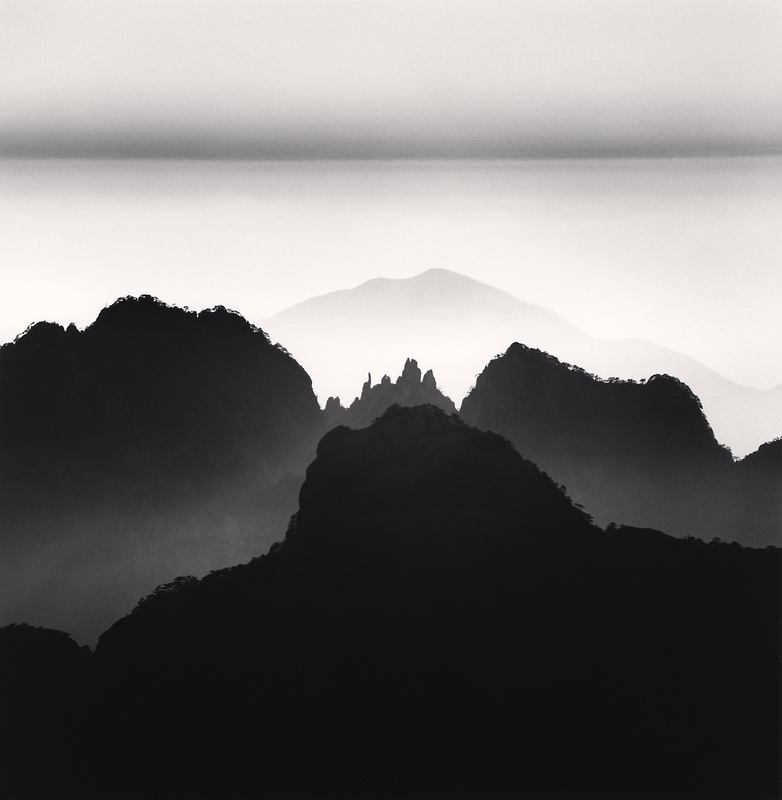 He still insists on making small, hand-made, silver prints and the articulation of the chromatic tonal scale more than hints at the Pictorialist work of the past, according to Peter C. Bunnell. 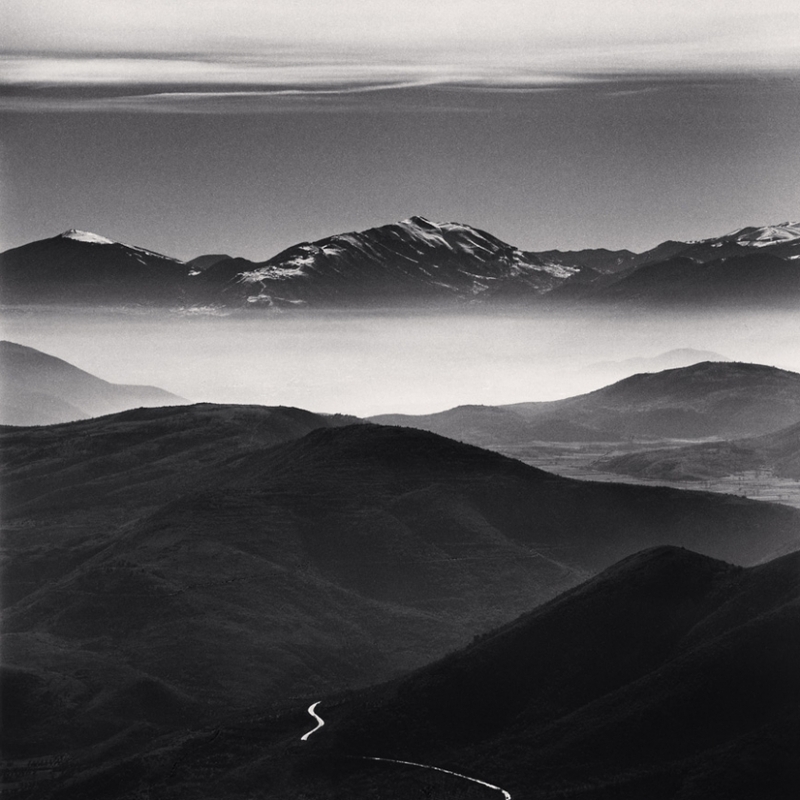 Kenna offers us views of Abruzzo that have already been much photographed and painted, but his personal, poetic interpretations bring new emotions and feelings to his subject matter. 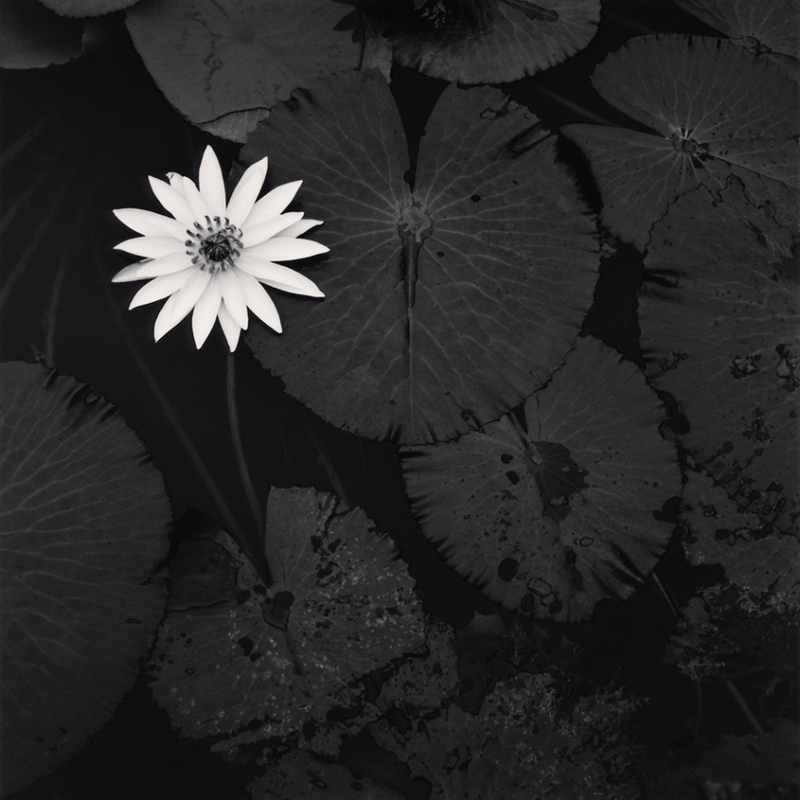 Ruth Bernhard wrote in 1991, “Michael’s photographs are islands of serenity and silence in a loud and chaotic world… His prints are exquisitely seductive, spiritual experiences, akin to poetry or music… They strike somber chords, yet they contain a mystical light that is both wistful and luminous…”. 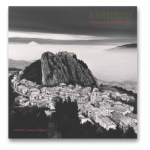 Many years later, these very same words could be used to aptly describe Michael Kenna’s latest work on Abruzzo.